AMES, Iowa — Multidisciplinary designer Madeline Gannon, a self-described “robot whisperer” with a passion for inventing better ways to communicate with machines that make things, will share her work in a free public lecture at Iowa State University. Gannon will present “Robots Are Creatures, Not Things” at 5 p.m. Wednesday, Oct. 18, in Kocimski Auditorium, room 101 College of Design. Part of the ISU Department of Architecture’s 2017-18 Public Programs series, “For Other Architectures,” her talk is made possible by an ISU Women’s and Diversity Grant (recently renamed the Inclusion Initiatives Grant) and co-sponsored by the College of Design and the Departments of Art and Visual Culture, Graphic Design and Landscape Architecture. Gannon leads ATONATON, a research studio scouting the the untapped potential of emerging technologies. 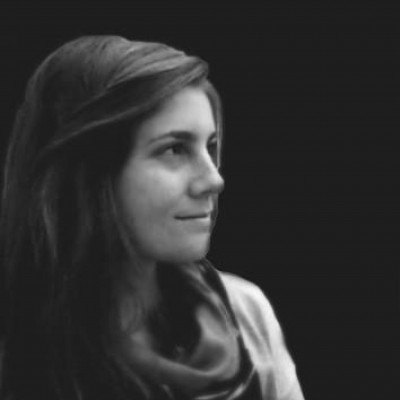 She will discuss her work imbuing fabrication machines with a sense of spatial intelligence, using CAD/CAM technologies to “tame” giant robots into mechanical creatures that can expand, augment and amplify human capabilities. Examples include Mimus, a 1,200-kilogram industrial robot that can sense and respond to your presence as you near the robot’s enclosure; Quipt, a gesture-based control software that gives industrial robots basic spatial behaviors for close interaction with people; Reverb, a context-aware three-dimensional modeling environment that allows designers to create ready-to-print wearables around their own bodies; and Tactum, an augmented modeling tool that allows designers to create 3D printed wearables directly on their bodies. 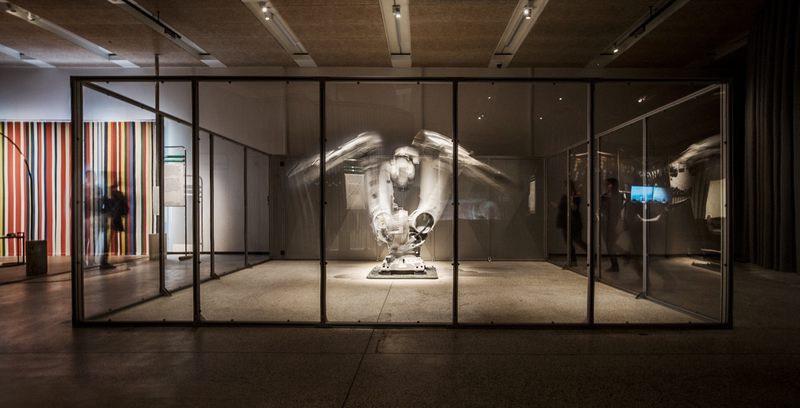 Mimus was commissioned for the Design Museum London’s inaugural exhibition, Fear and Love, Reactions to a Complex World, in 2016-17. It received an Honorary Mention from the 2017 Ars Electronica STARTS Prize jury for innovation at the intersection of science, technology and the arts. Gannon also will participate in a critique session with student participants in the Cyborg Sessions: Women in Robotics Workshop from 1 to 5 p.m. Oct. 18 in the Communications Building. A reception for an exhibition of student work will follow her lecture at 6 p.m. in the College of Design’s Gallery 181. Gannon holds a Bachelor of Arts in architecture and a Master of Architecture from Florida International University and a Master of Science in computational design from Carnegie Mellon University. She is completing a PhD in computational design from Carnegie Mellon. She was an artist- and builder-in-residence at Autodesk in 2015 and 2016 and serves as a World Economic Forum Cultural Leader.